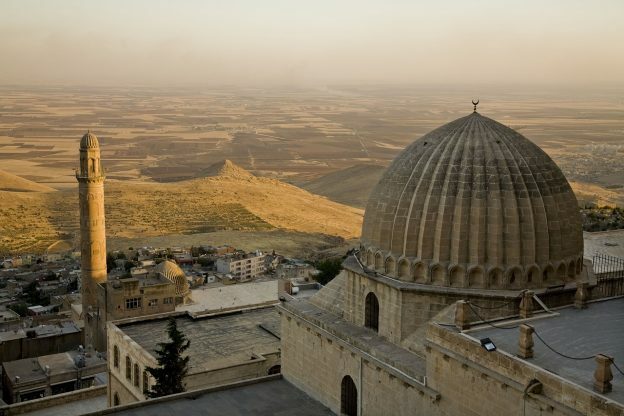 Muhammad Abu Zahra was one of the foremost authorities on Islamic law in the 20th century, whose works on the various schools of Islamic law continue to be used in academia. He was a member of Al-Azhar University’s Academy of Islamic Research and a Professor of Islamic law at Cairo University. He was loved by his students for his personality that united piety, open-mindness and a great sense of humor. 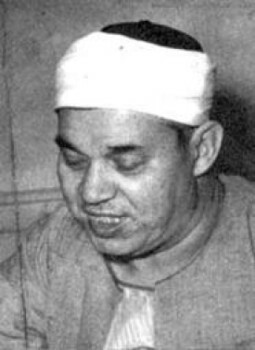 In the year 1972, two years before his death, at in Islamic conference held in the city of al-Bayḍāʾ in Libya, he shook the scholarly community by declaring his informed personal opinion (ijtihād) regarding the stoning of adulterers in Islam, in which he rejected the punishment based on a number of arguments. While his arguments are not conclusive, they deserve to be taken seriously. If even there is the slightest chance that he is correct, then that should be sufficient to put a permanent suspension on this punishment, because it involves the taking of human lives, and we cannot do that if we cannot be sure whether God really commands it or not. The reason why the majority of scholars defend the punishment is not that they like it. The historical evidence shows that Islamic judges have been extremely loathe to carry out this punishment, to the point of accepting to be banished from their cities rather than sign the order to stone someone. The reason they defend it is that it is mentioned in a number of authentic narrations. Putting these narrations into question would require rebuilding the foundations of the field of hadith studies from scratch, a task that most scholars have been unwilling to contemplate until recently, although things appear to be slowly changing with respected hadith scholars like Ṣalāḥ al-Dīn al-Idlibī engaging in content criticism and finding it acceptable to reject “authentic” narrations even in al-Bukhari and Muslim that go contrary to empirical evidence. There is no evidence that the Prophet stoned anyone after the revelation of Surat al-Nur which prescribes lashing for adulterers. The Quran says slave women will only deserve half the punishment of free women (4:25). Stoning is not a punishment that can be halved. Surat al-Nur was specifically revealed regarding the case of a married woman (Aisha) being accused of adultery. Its very first verses prescribe lashes to “adulterers”. It makes little sense that this sura, revealed in the case of a married woman, would start out (and finish) by only mentioning punishments for unmarried people. Verse 4:15 tells Muslims to keep “their adulterous women” in the home until they either die or “God makes for them a way”. There is no hint in the verse that this is meant only for unmarried women, and “God making a way for them” only makes sense if these women had been given the punishment of lashing then left to themselves to repent and perhaps later remarry. We do not have conclusive proof that stoning was abrogated. But even if there is the slightest chance that it was, since it involves the taking of human lives, perhaps Muslims can abandon the punishment out of respect for the possibility that the punishment may be wrongful. Even if there is a 99% chance that stoning was to be performed by Muslims after the Prophet’s death and there is a 1% chance that stoning was abrogated and the Companions did not appreciate this abrogation, this 1% chance is perhaps sufficient to put a hold on the punishment of stoning out of fear for God. Without further ado, below is a translated article written by a young Yusuf al-Qaradawi, the respected Egyptian scholar, on Sheikh Abu Zahra’s opinion (here is an archived link to the Arabic original taken from al-Qaradawi’s website). Stoning is not a punishment that can be halved, which shows that the punishment is the one mentioned in Sūrat al-Nūr [i.e. 100 lashes]. My second argument is what al-Bukhārī narrates in his Ṣaḥīḥ from ʿAbdullāh bin Awfā that he was asked whether the punishment of stoning was carried out before or after Sūrat al-Nūr was revealed, and he replied that he did not know. My third argument: The hadith they relied on [in support of stoning], saying that it was first part of the Quran then it was abrogated while its ruling remained, is not something that a rational mind can accept. Why would a verse be abrogated but its ruling remain in force? And the argument that it was part of a written book of Quran but a she-goat ate the page cannot be logically accepted. When the Sheikh finished his speech, most of the attendants started to verbally assault him. Many stood up and repeated what the books of fiqh say on these arguments. But the Sheikh remained steadfast in his stance. O Yusuf, is it conceivable that Muhammad bin Abdullah, the Mercy Gifted to Mankind, would stone people to death? This is Judaic law, and it fits the cruelty of Judaic culture. [It is unclear whether this following paragraph is Abu Zahra or al-Qaradawi speaking:] Sheikh al-Zarqā [a renowned 20th century Syrian scholar] agrees with the majority, but he disagrees with them in his definition of muḥṣin [the category of adulterers that can be stoned]. They say that a muḥṣin is any person who has married at some point, even if they have divorced or their spouse has died and are currently unmarried. But al-Zarqā says a muḥṣin is one who is presently married. This is also the opinion of the Sheikh Rashid Rida which he has mentioned in his Tafsīr al-Manār. That is why when I spoke of the framework for modern ijtihād, I said that we should open our hearts to those who make mistakes in their ijtihāds, for in this way ijtihād is revived and flourishes. A mujtahid is a fallible human. It is their right, no, even their obligation, to perform ijtihād and to publicize their opinions. It is not obligatory on them to always be right. As long as we close our hearts to opinions that go against the majority, ijtihād will not grow and will not give its fruits. The truth is that what some people consider to be in error might actually be the correct opinion, especially when times and places change. It appears that the violent attack that Sheikh Abu Zahra faced made him keep silent about his opinion [after the conference], so that he did not write it down. Perhaps the reason is that he did not live long after it, for he died some months later, may God’s mercy and pleasure be with him. I saw that in his book Crime and Punishment in Islamic Law he had attributed this opinion to the Khawārij and mentioned them using the same arguments that he mentioned in Libya. I believe that was before the conference [i.e. his book was published before the conference, this seems to be confirmed by WorldCat.org which lists versions of this book published in 1970 and before]. Is democracy permitted in Islam?Can one take medications when fasting?